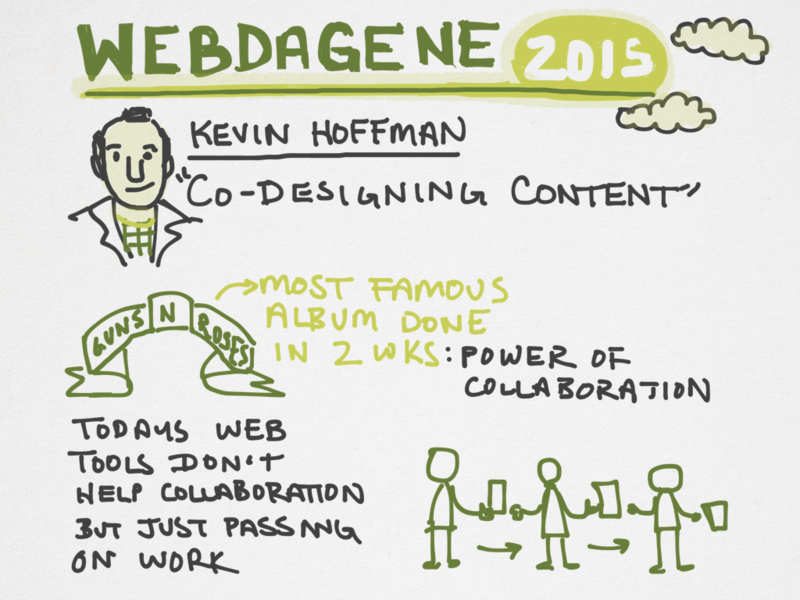 I had the immense pleasure of speaking at Webdagene 2015 in Oslo, Norway. But I was also lucky enough to catch stellar presentations from a number of top speakers in the industry. Below are my sketch notes from a select batch of presentations. You can see the full video from Kevin’s presentation here. View the slides from Gerry’s talk here. See the video from Brenna’s talk here. A video from Jeff’s presentation will soon be posted here.